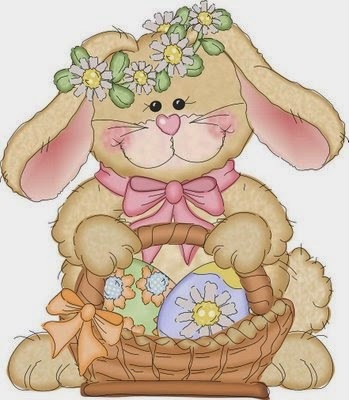 Easter Bunnies are among some of the most traditional and characteristic features of these festivals, they are usually represented very well dressed and with some decorated eggs, however they also have other animals and elements. Here are some cute pictures that you might find useful to send, share or to create messages. Easter bunny with a basket full of decorated eggs. 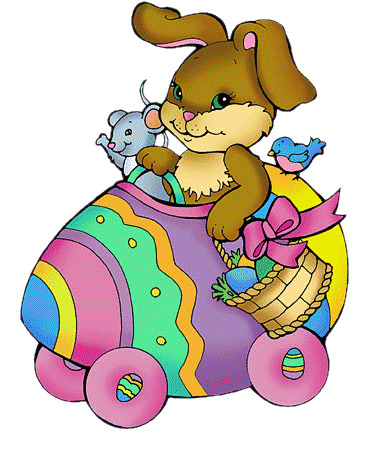 Easter bunny in a decorated car in shape of an egg. 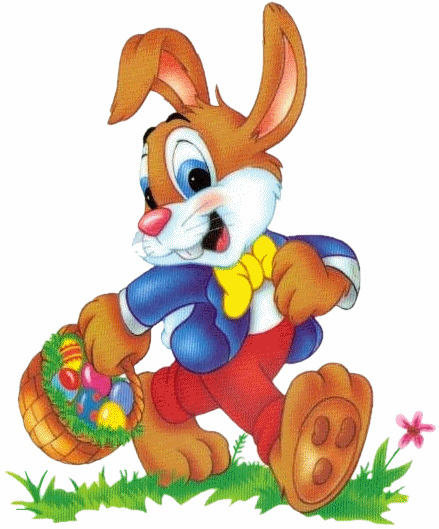 Easter bunny walking with a basket with decorated eggs. 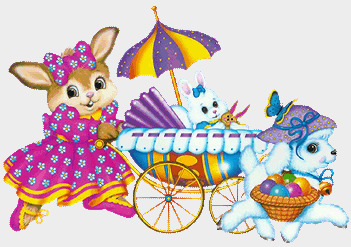 Easter Bunny carrying her baby in a car. 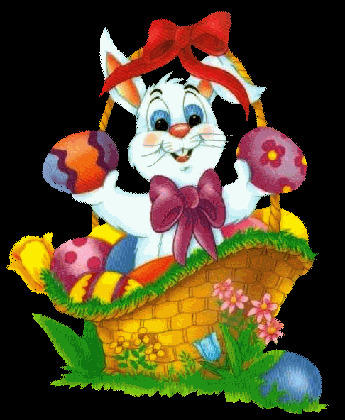 Easter rabbit inside a basket with decorated eggs. 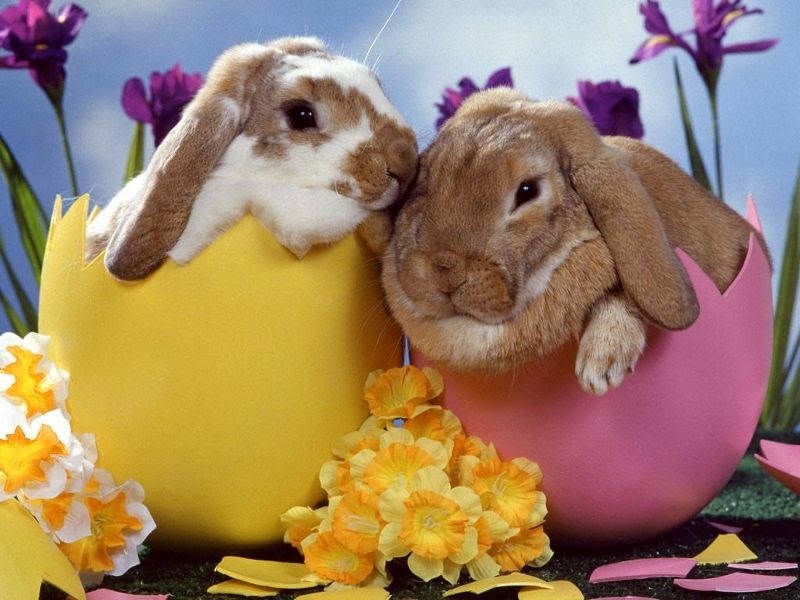 Couple of Easter bunnies, each one in an eggshell. 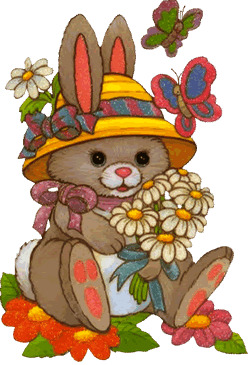 Easter bunny with flowers and butterflies. 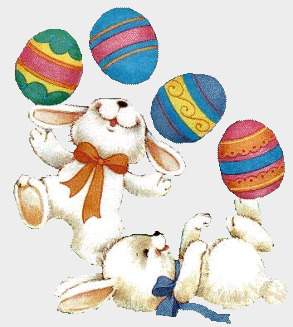 Bunnies playing with decorated Easter eggs. 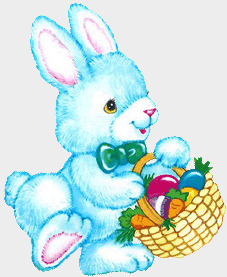 Easter turquoise bunny with a basket with eggs and carrots. 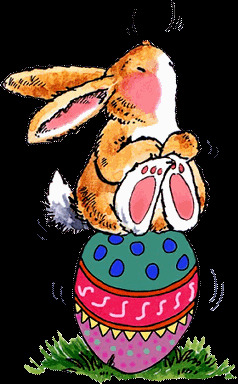 Easter bunny sitting on a decorated egg.